Gift giving is one of the most fulfilling kind acts that we could ever experience in our existence. From choosing the gift, wrapping the gifts and handing them over to our recipient bring different levels of joy to the sender. St. Patrick’s Day is soon coming, have you thought of the perfect gift for your husband, boyfriend, guy friend or brother? 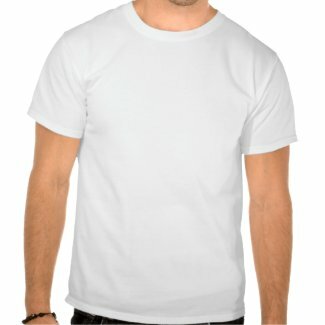 If you are thinking of giving a t-shirt to your male recipient but would want to add some twist and make it remarkable, why not give a funny t-shirt that says it all? We have listed the top six funny designs that would give St. Patrick’s Day grin to the man of the hour. During St. Paddy’s Day, liquor seem to be overflowing and everyone is drinking generously like there’s no tomorrow. Incorporating generous flow of alcohol on St. Patrick’s Day celebration came from legends and the hearsays have transformed into tradition and is now known as Pota Phadraig or Patrick’s Pot. This custom is literally taken as drowning the shamrock, as the drinker let the leaf float in the whiskey first before downing the shot. The beer lovers and the heavy drinkers love St. Paddy’s day the more among any other holidays because on this festivity they could exercise their drinking power and marvel at how much they could drink more every year. This value t-shirt is made from 100% heavyweight cotton and is durable because of the double stitched hems and bottom. Like what the statement suggests, your friend would certainly need another beer to wash down the current beer. This eye catchy shirt is only less than 17$ and comes with various colors to choose from. In addition, sizes run from Small to 4XL and there are additional charges per extra size. You can also customize the font to your perusal, what a great deal indeed! We all have that one friend who suddenly transforms into a very playful guy when he gets tipsy. And you know that St. Patrick’s Day is the perfect time for you tease your friend a bit or give him a large grin on his face when he sees it. This is a very comfortable shirt that is suited for the value conscious customer. It’s made from 100% heavyweight cotton and is very durable and tested to withstand long periods of time. This can be worn on casual occasions, parties or just when hanging out with friends. You can get this value t-shirt for less than 16$. It also comes with various sizes to choose from. You can also enlarge or minimize the print design as you please. You can make the design bigger for emphasis or make it smaller to enhance the curiosity of the expectators. Go ahead and play along with your frisky friend this St. Patrick’s Day. Do you remember your friend who likes to deny that he has drunk too much? Well, we have the perfect design for your friend. Cykosis’ came up with a value t-shirt with a hilarious design that fits your denial friend. Thinking that everyone is drunk except for him is really one of the funny scenes of our drunkard friend. You can hilariously rub it in your friend’s face and celebrate the gift giving on St. Paddy’s Day with this funny shirt. The print can be customized before you order and there are plenty of sizes to choose from. This value t-shirt is only less than 16$, you’ll definitely get your money’s worth. The shirt is made from 5.5 oz pre shrunk, 100% heavy weight cotton that is very soft and durable because of the double stitched hems and bottom. Get wasted with your friend happily while wearing these cool shirts on St. Patrick’s Day. As the saying goes, you can’t drink all day if you don’t start in the morning seem right isn’t it? You may have vowed to be drunk all day on St. Patrick’s Day and enjoy yourselves to the limit. This satire best fits your philosophical friend who always gets the loop hole in everything. Show your funny side and gift this to your drinking buddy on St. Patrick’s Day. 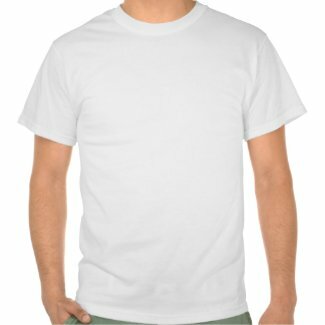 This white value shirt which is made from 100% heavyweight cotton is only less than 17$. It can be worn on casual Fridays, while hanging out or any occasion it may fit. The comfort and quality is not compromised with this hilarious St. Paddy’s Shirt. The perfect shirt for all of your drunken shenanigans, St. Patrick’s Day parades, Irish pub hopping especially on March 17 which is the big day of St. Patrick. St. Patrick’s Day is the holiday that encourages drinking more to the fullest capacity of the drinker. Although it is practically unhealthy to begin with but that’s tradition and people have got used to that. We all have that one friend, who anticipates everything and is always proactive right? We have the perfect shirt for your proactive friend. CyKosis’ I Apologize in Advance for Staring at your Shamrock T-shirt is the best fit for your pal. This value t-shirt aside from being generously hilarious, is also made of high quality materials for fraction of the cost. This is only less than 17$ and runs from Small to 4XL. This shirt can be worn as you explore your alcohol limits on St. Paddy’s Day without worrying of being slapped as you get frisky and have that awkward stare at someone’s shamrocks. Too funny but might just work with the ladies. Go ahead give it a shot as you down your shot on St. Patrick’s Day. St. Patrick’s Day is originally and Irish holiday but as time passed by, it became a global phenomenon. The Irish and Irish by heart celebrate St. Patrick’s Day with pride and plenty of enthusiasm. It has transcended from a religious day of a patron saint to a celebration of Irish heritage. Green beer and whiskey are everywhere; most people are wearing green, leprechauns and pots of gold as centrepieces and a lot more. For your chameleon like friend who loves St. Paddy’s Day, this is the best shirt for him. Goof around with your friend and boost the Irish feel with this funny shirt. This basic t-shirt is very comfortable when worn and is made from high quality imported materials. It is also very durable because of the double needle stitched sleeves and bottom. You can get this for only a little over 20$. In addition, LuckyTees made this with several sizes to choose from. Its sizes are from Small up to 6XL.